On March 8th, approximately 650 7th grade students took to the Minnesota State University, Mankato campus to learn about career pathways. Students from Dakota Meadows and Prairie winds toured departments ranging from biology to mechanical and civil engineering to theater and dance. Sessions were led by students, faculty and staff from Minnesota State colleges and universities. Seventeen teams of high school students, ages 14-18, from Minnesota and Iowa competed on March 3rd to design the most elaborate and hilarious, but also functional ways to apply a BAND-AID® at the annual Rube Goldberg Machine Contest at Minnesota State University, Mankato. The regional event lets high school students display their creativity, humor and ingenuity while learning about engineering. The teams participating compete for a regional title and to qualify for the Rube Goldberg Machine Contest on Sunday, March 26 at the Center of Science and Industry (COSI) in Columbus, Ohio, where teams will compete to become the Rube Goldberg Machine Contest Division II champion. The first National Rube Goldberg Machine Contest was held in 1988. A Rube Goldberg Machine Contest is an event where students of all ages compete with the machines they have imagined, designed and created in a fun and competitive forum. The competitions encourage teamwork and out-of-the-box problem solving, in a fresh learning environment and level playing field. To compete in a Rube Goldberg Machine Contest requires only a pile of junk and a great imagination. Rube Goldberg (1883-1970) was an engineer, sculptor, author and Pulitzer Prize-winning cartoonist who depicted overly complex machines performing simple tasks. The machines that he drew often were impossible to build and operate, but were entertaining because they defied implementation. Goldberg spent most of his career as a cartoonist for the New York Evening Mail, founding the National Cartoonist Society and winning a Pulitzer Prize. Mankato, Minn. – The College of Science, Engineering and Technology at Minnesota State University, Mankato hosted approximately 140 high school students at its third annual “Girls Explore STEM” visit day on Tuesday, Oct. 25, 2016 in the Centennial Student Union Ballroom. The event allowed students an opportunity to explore education and careers in the fields of science, technology, engineering and mathematics. The Girls Explore STEM visit day involved engaging, fun topics of science, technology, engineering and math. It was intended to promote appreciation for science, technology, engineering and mathematics in today’s youth. According to the Census Bureau’s 2011 American Community Survey (ACS) (see page 7 at this link), U.S. women comprise just 25.8 percent of STEM workers despite making up 47.5 percent of the workforce. The students were welcomed by Dr. Brian Martensen, Dean of the College of Science, Engineering and Technology then listened to Karla Ortiz, a Minnesota State Mankato alumna who is now a business strategy manager for Cummins Inc. deliver a keynote address. From, students participated in demonstrations and displays from faculty, student groups and industry partners, a campus tour, a student Q & A panel, and many other activities geared toward promoting STEM appreciation in today’s youth. There will be a lunch and student panel discussion. Check out the fantastic newspaper article by the Mankato Freepress or the news story from KEYC to learn more about the event. A Summer of Fantastic Camps! The summer of 2016 was a fantastic year for camps offered by MNCEME and our partner institutions. Students across the state were exposed to so many great STEM opportunities ranging from VEX robotics, 3D printing, software and electrical engineering, to designing and building structures for specific engineering challenges. Students also had the opportunity to attend camp to just explore a large range of careers in key industry sectors like energy, manufacturing and engineering, healthcare, agriculture, transportation and information technology. In so many ways it is truly too difficulty to put into words all the fantastic things students were able to build, explore and tour. So… please take a look at the slideshow below to see all the happenings and great summer camp opportunities sponsored by MNCEME in 2016. On June 7-9, 2016 three Professors from Minnesota State University, Mankato presented a workshop for teachers in Madelia, Minnesota on engineering concepts to help expose them to the fundamentals of engineering so they are better prepared to teach the Minnesota Science Standards that now include engineering outcomes. During the workshop participants learned about about a variety of concepts. Dr. Patrick Tebbe introduced them to engineering design using Legos to build a construction vehicle. He also had participants reverse engineer a toaster (AKA – deconstructing a toaster!!!) learning how it actually works as well as learning about modification to meet performance specifications by building towers using spaghetti and marshmallows. Dr. Winston Sealy provided participants background on electricity and circuits through hands-on activities using Snap Circuits kits. Lastly, Dr. Jeff Pribyl assisted participants in one of the most critical parts of the workshop, helping participants use what they learned from the engineering professors and develop curriculum that they could use in their own classroom that was age appropriate and meets the Minnesota Science Standards. Participants also got to get out of the classroom and see engineering at work and toured Poet Biorefining in Lake Crystal as well as ST-Industries in St. James. 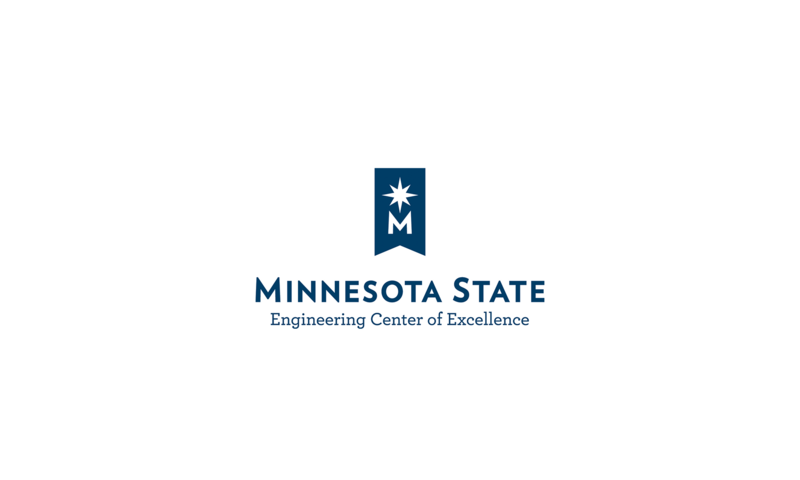 MNCEME is pleased to announce that Interim STEM Outreach Director, Stephanie Zojonc was one of four recipients of 2016 Regenerative Medicine Minnesota Education (Gades 3-12) Grants. In 2014, the Minnesota Legislature created Regenerative Medicine Minnesota (RMM) as a joint venture between the University of Minnesota and the Mayo Clinic with the goal of establishing infrastructure and supporting research that would bring the benefits of regenerative medicine to the citizens of the state. Pilot program in 12 Minnesota public schools to engage 3rd-8th grade students in science, medicine, and engineering. By giving them exposure to the fascinating science of stem cells and regenerative medicine using resources and activities appropriate for their learning needs, this program is designed to prepare and inspire future generations of scientists and engineers from Minnesota. Three community-based summer programs that provide science, math, and research educational opportunities for 3rd-6th grade children from the Bois Forte, Grand Portage, Red Lake, and Leech Lake communities. A fourth program provides opportunities for 7th-12th grade Native American students to explore science and regenerative medicine in classroom and hands-on lab activities as they participate in the Center of American Indian and Minority Health on-campus residential summer programs at the U of MN Medical School Duluth. Week-long regional summer camps provide middle and high school students from all socioeconomic backgrounds practical experience working and learning in real-life university clinics and laboratories. Students learn about career and education opportunities in regenerative medicine. Ms. Bormann also coordinates with Dr. Daughters (MRMEOP, below) to develop and distribute regenerative medicine curriculum to teachers throughout the state. Girls Explore STEM Camp immerses middle school students in activities in science, regenerative medicine, technology, engineering, and math while showing them possible career paths and role models in these fields. Ms. Zojonc also collaborates with Dr. Daughters and his undergraduate students to create and present the regenerative medicine modules of the program. Additional information is available at www.regenmedmn.org. MNCEME staff had the opportunity to volunteer at and sponsor the Minnesota Technology and Engineering Educators Assocation Supermileage Competition held at Brainerd International Raceway on May 8-10. The objective of the competition, which is in its 28th year, is to provide a challenge of classroom learning experience together with ingenuity and teamwork to produce the most fuel efficient vehicle. Competition classes included stock, modified, E-85, experimental, exhibition, and electric. This year’s competition included 105 cars from Minnesota and Wisconsin. The competition was spectacular with students and their developing winning cars averaging over 1,000 miles per gallon of fuel!!! On April 25 MNCEME was proud to participate in Under the Tent hosted by AgCentric and Southern Minnesota Center of Agriculture at the MN State FFA Convention. The event was an opportunity to interact with over 2,000 FFA students about opportunities in engineering and manufacturing. Haldeman-Homme Inc. attended the event in conjunction with MNCEME showing students 3D printers and laser-engravers and discussing opportunities associated with the technology. Rube Goldberg Machine Competition – Middle School!! !